Minnesota Twins and Jarrod Washburn: A Good Match? Over the past week, talks between the Minnesota Twins and left-handed starting pitcher Jarrod Washburn have begun to heat up. Scott Miller of CBSSports.com reported on Tuesday that the Twins made an offer to the lefty but the figures of the deal had not yet been disclosed. But on Thursday, La Velle Neal of the Minneapolis Star-Tribune said several people close to the Twins said that they were not aware of a deal, and Washburn declined to comment. However, he did say that the Twins were one of the teams at the top of his list of places where he'd want to play. The Twins have already inked a starter this winter, signing Carl Pavano after he accepted arbitration. With the addition of Washburn, the Twins would have one of the better rotations in the American League Central. Accompanying Pavano and Washburn, if he signs, would be Kevin Slowey, Nick Blackburn, and Scott Baker, who won 15 games last season. Slowey won 10 games before his season was cut short because of an injury, and Blackburn won 11 games his past two seasons. The Twins could also start Francisco Liriano and Glen Perkins, two lefties. After a great start to the season in Seattle where he went 8-6 with a 2.64 ERA, Washburn hit the ground hard after being traded to the Detroit Tigers . He posted a 1-3 record with a 7.33 ERA in 8 starts. If the deal goes through, Washburn could balance out the team's high ERA, which ranked 23rd in the Majors last season with a total ERA of 4.50. But to do that, Washburn would need to pitch like he did in Seattle and not like he did when he was the Twins' AL Central counterpart. 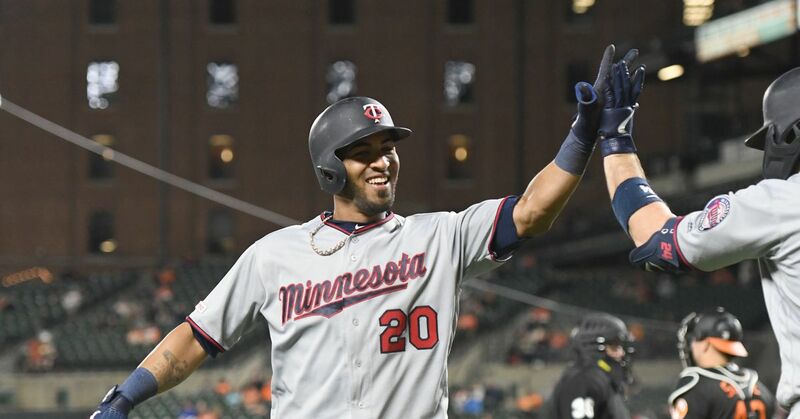 Since Washburn saw such limited success in the AL Central last season, the Twins may want to be a little hesitant about signing him. But if he's still a solid left-handed starter he could play a big role in the Twins' attempt at defending the AL Central title.